Facebook video shows senator being denied access to facility in which children are being held. 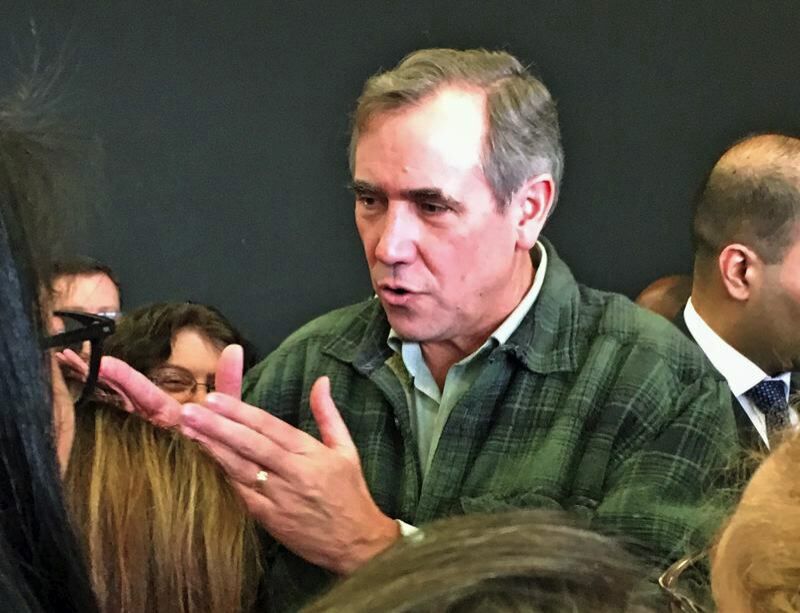 Oregon's U.S. Sen. Jeff Merkley on Sunday visited the U.S.-Mexico border in McAllen, Texas, demanding answers from immigration officials about the Trump administration's policy of separating children from their parents at the border. The senator has posted a Facebook video of the encounter. "This cruel treatment of children and families arriving to the U.S. is completely un-American and unacceptable," Merkley said. "Americans should be outraged by the fact that our taxpayer dollars are being used to inflict spiteful and traumatizing policies on innocent children. The Trump administration's vicious, heartless family separation policy must be stopped. President Trump should end this policy immediately—and any Republican who claims to embrace 'family values' must step up to oppose this cruel anti-family agenda." According to The Washington Post, On May 7, U.S. Attorney General Jeff Sessions announced that the Justice Department would begin prosecuting every person who crossed the Southwest border illegally, even if some of those people are asylum seekers. There is no law that forbids people from reaching a foreign country's border and requesting asylum. One consequence of the policy, according to The Post, is that children will be separated from their parents as the adults are charged with a crime, even if the adults are seeking asylum and present themselves at official ports of entry. "This cruel new policy was met with shock and outrage from around the country," Merkley wrote in a press release. "According to news reports, more than 600 immigrant children have already been separated from their families since the implementation of this policy." On Sunday, he visited U.S. Customs and Border Protection's McAllen Border Station, one of the facilities where families are being separated as they enter the United States. According to the release, he also attempted to visit the Brownsville Unaccompanied Minors Shelter to see firsthand how children who have been separated from their families are being treated, but he was refused entry. He was accompanied on his trip by a representative of the American Civil Liberties Union. Merkley said he also spoke with local community members and asylum seekers at the Sacred Heart Church Respite Center in McAllen. "Many of these asylum seekers survived harrowing journeys, fleeing violence and instability, with the goal of starting over in the United States," Merkley wrote.